By that, he meant he regretted having not collected enough of a particular vintage of Capella, Clos’s signature Bordeaux-inspired white wine. To be fair, until recently it would have been hard to collect Clos Du Soleil wines in quantity. The winery opened in 2008 with the release of just 200 cases of 2006 vintage wine, half red, half white. However, Clos Du Soleil has changed significantly since Michael Clark, now managing partner and winemaker, joined the winery in 2012. Last fall, it repatriated production from rented space in a Kelowna winery to a new winery on its Similkameen vineyard. The new winery enabled Clos Du Soleil to raise its production, which had been growing slowly, to about 5,000 cases. Given the winery’s small volumes in early vintages, it is perhaps surprising that enough wine had been kept back for vertical tastings. The tasting in October 2015 was the winery’s fourth annual. Clos Du Soleil is among a small, but growing, number of British Columbia wineries that are beginning to offer vertical tastings to consumers - usually members of their wine clubs. By definition, a vertical tasting is one where a number of vintages of the same wine are tasted side by side. At last fall’s Clos Du Soleil tasting, the guests tasted nine vintages of Capella, from the inaugural 2006 to the unreleased (at the time) 2014. They moved on to vintages 2006 through 2012 of Signature, the winery’s Bordeaux-style red blend. They finished with three vintages (2010, 2011 and 2013) of Saturn, the winery’s Sauvignon Blanc dessert wine. And there were two bonus wines: a 2012 Estate Reserve Red and a 2013 Estate Reserve White. These are very fine small lot wines meant to be the best expression of the terroir of the vineyard. The point of sponsoring verticals is to encourage consumers who would prefer not to taste regret to get in the habit of collecting wines. Vertical tastings provide insights into vintage variations, differing fruit sources, maturing vineyards and evolving winemaking practices. All of this was on display at Clos Du Soleil. The winery did not plant its vineyard until 2007. The early vintages were made with grapes purchased both in the Similkameen and the Okanagan. Since 2012, all of the winery’s grapes have been either from its own organic vineyard or from other Similkameen growers. The change in the flavours and character of the wines is noticeable. Making wines like that resonates with the French-inspired sensibilities of Michael Clark (below), a former banker and bond dealer who has emerged as one of the best winemakers in British Columbia. Initially, he set out on a career in theoretical physics with bachelor’s degree from Queens University and then a master’s degree from the University of British Columbia. Then he switched to finance with a master of business administration from UBC, where he also founded a campus wine tasting society. 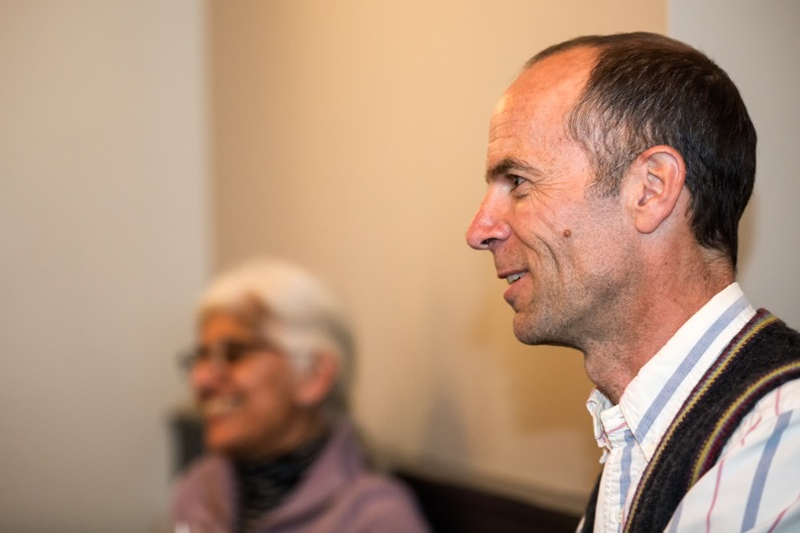 “Then I worked in finance in Canada and in the U.S. and Switzerland, for about 15 years.” That included eight years with two Swiss banks where, in spite of holding senior positions, he committed to winemaking by taking winemaking and viticulture courses there in 2010. He then gained experience by doing crushes at wineries in Switzerland and in Bordeaux. In 2011, he enrolled in the rigorous winemaking program from the University of California at Davis. While still in Europe, he began researching British Columbia winemaking opportunities before moving here in 2012 to become a partner at Clos Du Soleil. He provided the missing link at Clos Du Soleil. None of the four couples in the founding partnership lived in the Okanagan or the Similkameen. Consulting winemaker Ann Sperling made the first five vintages and continues to consult after turning over the ultimate decision making to Michael. As a winemaker, Ann is a Canadian superstar. However, she is responsible for the Sperling family winery in Kelowna, along with clients across Canada and a small winery in Argentina. Michael is totally focussed on Clos Du Soleil. He has introduced significant technical changes in Clos Du Soleil’s winemaking. “All of our estate fruit in the recent vintages have been fermented with wild yeast,” he says. “That has changed some of the characters. 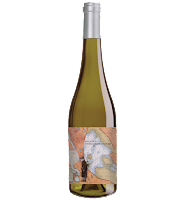 It has made them a little more complex; it allows a little more of the minerality/pencil lead/slate character” of the Similkameen terroir to show through. His detail-oriented approach extends to doing many small batch ferments. That gives him a better understanding of each vineyard block. Many of these are not just fermented individually but remain separate in barrel until final blending decisions are made. Except for Saturn, the late harvest Sauvignon Blanc, the wines presented at the Clos Du Soleil vertical were blends. Capella, with the sole exception of 2006, is between 90% and 95% Sauvignon Blanc, with a small but important fraction of Sémillon completing the wine. The wine is priced $27.90. 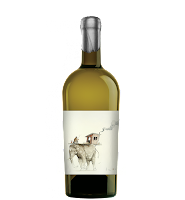 The barrel-fermented Estate Reserve White 2013 ($60) is two-thirds Sauvignon Blanc and one-third Sémillon. The style is quite reminiscent of an expensive white Graves from a classified Bordeaux chateau. Signature, a $45 wine, includes the main Bordeaux varietals in a wine always anchored with Merlot or Cabernet Sauvignon. Signature 2012, which I scored 94 points, is 48% Cabernet Sauvignon, 42% Merlot, 9% Cabernet Franc and 1% Petit Verdot. The $60 Estate Reserve Red 2012 – four barrels made from the winery’s own vineyard – is 53% Cabernet Sauvignon, 27% Merlot, 13% Cabernet Franc, six percent Petit Verdot and one percent Malbec. My score: 93-95. These wines are capable of aging at least 10 years from vintage, based on how the wines showed. Those who decided to collect Clos Du Soleil reds might also consider two other reds from the winery, both made to be consumed earlier while Signature and the Estate Reserve are aging. Clos Du Soleil Célestiale 2013 ($26.90). This is a blend of 41% Cabernet Sauvignon, 39% Merlot, 15% Cabernet Franc, 3% Petit Verdot and 2% Malbec. It has aromas of black cherry and black currants. One the palate, there is a generous helping of ripe, red fruit supported by long, ripe tannins. 91. Clos Du Soleil Makepeace Cabernet Merlot 2013 Grower’s Series ($24.90). This has aromas and flavours of black cherry, plum and raspberry with a touch of chocolate. The texture is juicy. 90. It was not long after The Hatch wine shop opened on June 1 that a buzz developed about this winery. A fellow wine writer who visited told me this was the most fun he had had in a tasting room in a long time. If you did not visit The Hatch this season, you can still experience the unbuttoned and edgy vibe of the place by reading the winery’s website and by studying the exuberant labels on its wines. This represents the clever and imaginative mind of general manager Jesse Harnden. The wines measure up very well. The Hatch is one of two wineries operated by Terrabella Wineries, a holding company based in Summerland. (The other is Perseus Winery in Penticton.) It is based on a vineyard that Terrabella purchased in 2013, just north of Quails’ Gate Estate winery. The 15 acres of vines include Pinot Blanc, Pinot Noir and Gamay. Originally, this winery was to be called Helios until a conflict was found with another brand. 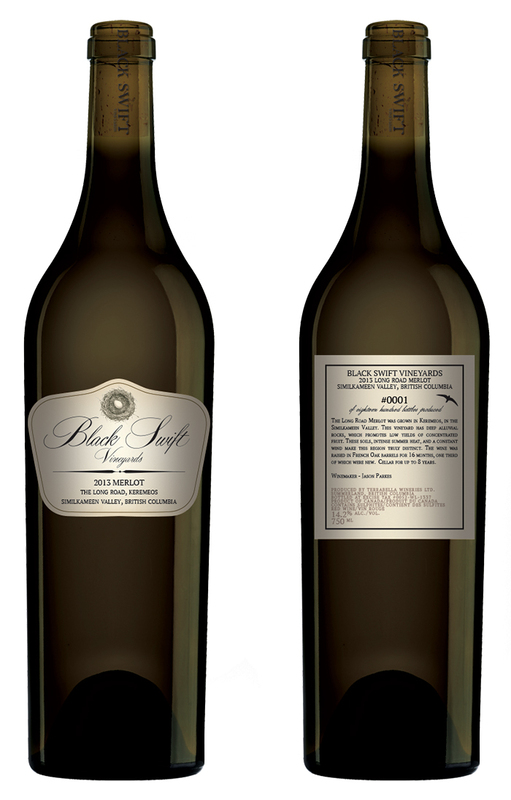 The owners then came up with Black Swift Vineyards, named for a high-flying migratory bird. Flocks of black swifts are called screaming frenzies. In the course of refining the brand, The Hatch emerged as the winery’s name with Black Swift and Screaming Frenzy becoming brands within The Hatch portfolio. Jesse Harnden happens to admire the Bonny Doon vibe. He was receptive when Morstad was recommended to create some labels for The Hatch. Jesse was floored by the string of coincidences that unravelled subsequently, beginning with the fact that the artist grew up in West Kelowna. It turned out that Morstad already had what you might call an intimate connection to the vineyard that supports The Hatch. When he was an undisciplined sixteen-year-old, Morstad went drinking with friends. When they ran out of beer, he “borrowed” his father’s truck to get more. On the way back, he managed to flip the truck end over end three times. Miraculously, he was uninjured. A neighbour hid the beer and convinced the police that Morstad was a good kid. The ironic coincidence is that the truck had come to rest in what is now the vineyard at The Hatch. “This was meant to be!” Harnden says of his decision to use Morstad’s art on The Hatch Wines. Harnden’s creative marketing combined with Morstad’s images to spawn wine packaging that gets consumers talking and chuckling (although without the irreverence of Cardinal Zin). 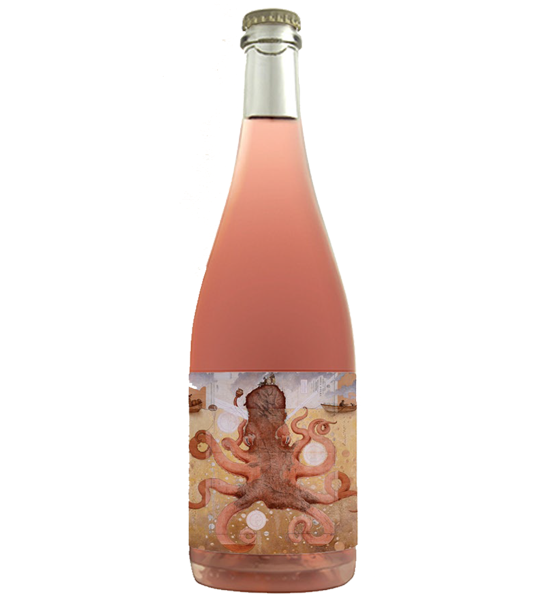 An octopus swimming in what Morstad says is Champagne fostered the label for The Hatch ‘Octobubble’ Brut Rosé. 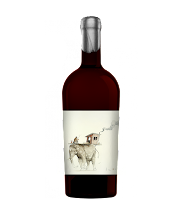 The image of a torso topped with a nest and an egg adorns two house wines – a white blend called B. Yanko and a red blend called Ross O. For two other blends labelled Dynasty – a big white and a big red – an elephant appears on the labels of the unusually squat bottles. And several wines use images from a Morstad painting that features hobos. The inspiration from Morstad just kept rolling along. A hobo hut from the painting served as the design model for the deliberately rustic wine shop. The Hatch vineyard fronts on high-traffic Boucherie Road, a strategic location because there are six other wineries on, or close to, that road. There was an early plan for a grand Hatch facility on the road as well. But when economic reality got in the way, it was decided to renovate old barns or tractor sheds at the rear of the vineyard. The resulting wine shop echoes the unrestrained art of the labels. Doors are salvaged from an old mansion; the ceiling is salvaged from an old building; the interior walls are salvaged wood from a Vernon barn. It would be hard to find a tasting room with more personality. Jason Parkes, the winemaker, is a perfect fit with the vibe of The Hatch. He once was the leader of a “spacepunk” rock band from Kitimat called Glasshead. When music was not paying the bills, a vineyard job at Hainle Vineyards led to a flourishing career as a consulting winemaker. He now makes wines for many of his clients from First Estate Winery near Peachland, which he leases. Here are notes on the wines at The Hatch and its partner labels. Some are small lot wines and will be sold out after a very successful season in the wine shop. The Hatch B. Yanco 2013 ($13.99). This is a blend of 70% Pinot Blanc and 30% Viognier. The wine begins with aromas of apple and stone fruit, leading to flavours of apple and peach. The wine is refreshing and crisp on the finish. 88. The Hatch Ross O 2012 ($15.99). This is 92% Pinot Noir, 8% Gamay. It is full of bright cherry flavours and aromas. 87. 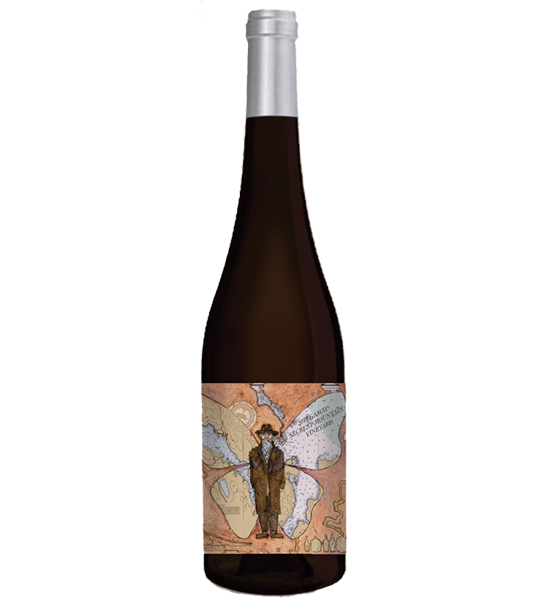 The Hatch Muscat 2014 Hobo Series ($21.99). This is a good dry Muscat, with spice on the nose and spicy citrus flavours. 88. The Hatch Sémillon 2014 Hobo Series ($21.99). The wine begins with aromas of citrus and banana and delivers grapefruit flavours. The texture is rich. 90. 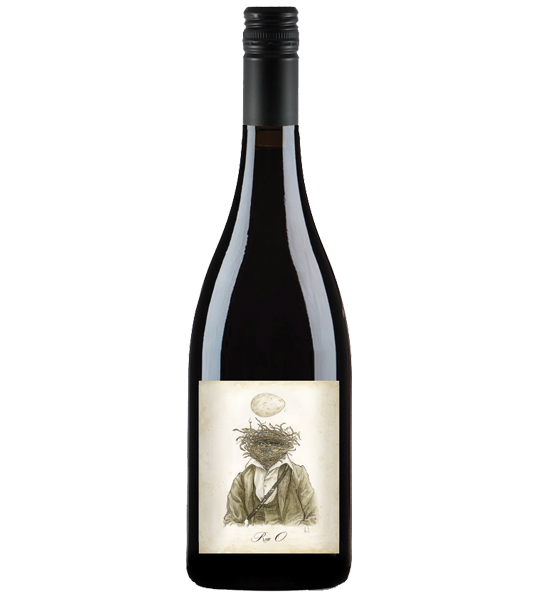 The Hatch Gamay 2013 Hobo Series ($21.99). This is a light, cheery Gamay with aromas of strawberries and flavours of strawberry and cherry. 88. The Dynasty White 2013 ($29.99). This is a blend of equal parts of Pinot Gris, Viognier and Chardonnay. The varietals were fermented in barrels but were aged in stainless steel barrels. 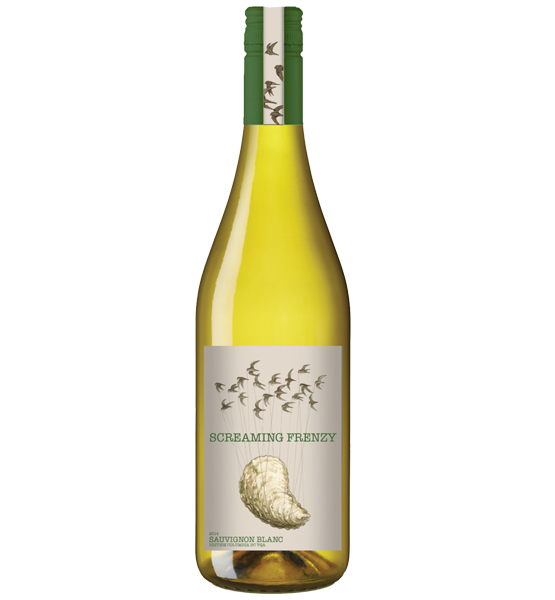 The wine is rich and buttery on the palate, with flavours of pear, pineapple and mango. There is a touch of spice on the finish. 90. The Dynasty Red 2013 ($39.99). This is 70% Merlot and 15% each Malbec and Syrah. 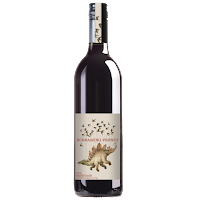 The wine is bold, with concentrated flavours of red berries, plums and black currants. There is a hint of pepper on the finish, along with black coffee and chocolate. 91. Hatchchild 2012 ($33.33). The sheep on the label inspired the punning name for what is a pretty serious wine. It is Cabernet Sauvignon, with grapes from Inkameep Vineyard’s legendary U2 block. It is an elegant wine with ripe tannins and aromas and flavours of cassis and plum. 90. Screaming Frenzy Sauvignon Blanc 2014 ($16.99). This Sancerre style Sauvignon Blanc has appealing aromas and flavours of lime, lemon and herbs, with a crisp, tangy finish. 90. 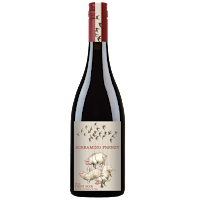 Screaming Frenzy Pinot Noir 2013 ($21.99). The wine begins with aromas of cherry and spice. On the palate, the wine is a bowl full of strawberries. The texture is juicy. 89. Screaming Frenzy Meritage 2013 ($22.99). This is 60% Cabernet Franc, 40% Merlot. Full on the palate, the wine is almost porty in the ripeness of the aromas and flavours. 89. Black Swift Chardonnay 2013 ($40). This is a full-bore voluptuous Chardonnay fermented in puncheons. It has flavours of citrus, butterscotch and cloves with a lingering and rich finish. 91. Black Swift Merlot 2013 ($45). This is another big red aged 18 months in oak. 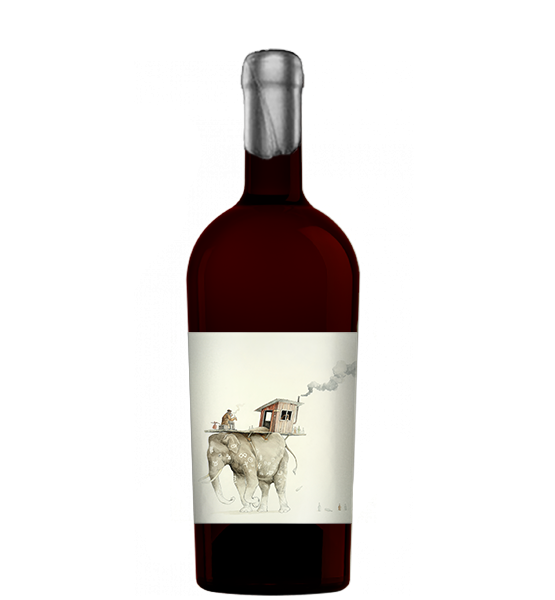 It has flavours of black currant, black cherry and vanilla, with notes of chocolate, tobacco and cedar on the finish. 90. Last June, the four wineries near Kamloops established the Kamloops Wine Trail. It is an initiative to attract wine tourists to an emerging wine region. Emerging is the right word. 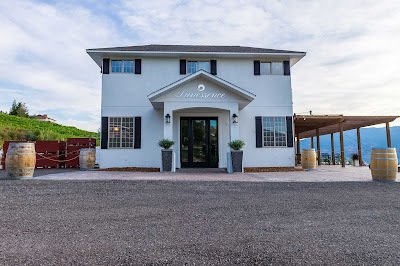 Harper’s Trail Estate Winery and Privato Vineyard & Winery began selling their wines in 2012. They have been followed since by Sagewood Winery and Monte Creek Ranch Estate Winery. Four wineries make for a leisurely day of wine touring. Indeed, two Kamloops-based companies – Tasteful Excursions and Divine Tours – operate winery tours for those who prefer to taste and swallow, rather than taste and spit. I would encourage enterprising wine tourists to venture a bit further afield after their Kamloops tour. 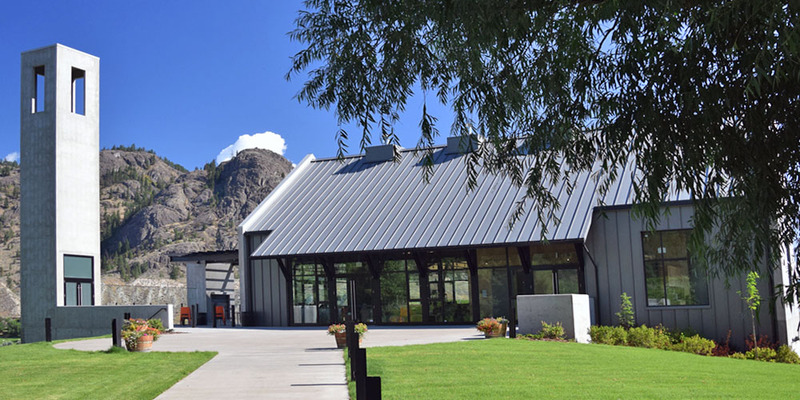 Fort Berens Estate Winery in Lillooet is a spectacularly scenic drive two or three hours west of Kamloops. The winery’s new tasting room is as impressive as the wines. Heading east from Kamloops on the TransCanada Highway brings one to the Shuswap wine region. It is another scenic region anchored around Salmon Arm and its amenities. The wineries are all small and unpretentious. Their appeal includes tasting rooms usually staffed by family members. In this blog, I want to comment on just two of the Kamloops wineries that have differing philosophies regarding their wines and vineyards. The contrast is part of the appeal of the Kamloops Wine Trail. Privato owners John and Debbie Woodward have a vineyard and tasting room on sunbathed slope beside the North Thompson River. The property, a half hour drive north of downtown Kamloops, is one of the more northerly vineyards in British Columbia planted to vinifera. In 2010, they planted 1.2 hectares (three acres) of vines, with mostly Pinot Noir and Chardonnay, along with one row of Maréchal Foch. The latter appears to have been insurance against the risk of hard Kamloops winters. So far, I have not encountered a Privato Foch, however. Privato is focussed on Pinot Noir and Chardonnay, so far with grapes sourced in the Okanagan. John is the winemaker of record but Jacqueline Kemp, a top flight New Zealand-trained winemaker, is his consultant and mentor. The 2012 Pinot Noir they made was a double gold medalist at this year’s All Canadian Wine Championships. Going forward, Privato is producing several tiers of Pinot Noir, with the top tier designated Woodward Family Collection. Under this tier are two from the 2013 vintage; they are labelled Tesoro and Fidele and are made from different vineyards. Visitors to the Privato tasting room this fall may have had a sneak preview of these two. The fascination of Monte Creek Ranch, about a 10-minute drive east of Kamloops, is also the varietals the winery works with. But in contrast to Privato, Monte Creek has planted winter-hardy Minnesota hybrid varieties in part of its 35-acre vineyard. With varietal names like Marquette, La Crescent and Frontenac, these are the first plantings of these hybrids in British Columbia. There also is a block of Maréchal Foch. The winery also has an excellent south-facing slope on the north side of the Thompson River. Here, the winery grows Riesling, Pinot Gris and Gewürztraminer. As well, Monte Creek buys some Bordeaux varieties from growers in the Okanagan. Thus, the wines here can be Okanagan blends, blends from several regions or Minnesota hybrids. No other tasting room offers this range. The Monte Creek experience includes a visit to a grand, new tasting room that was opened this year. The architecture blends so-called Mission style (including a bell tower) with designs echoing local barns. This winery, after all, is also a working ranch. These wineries, and their Kamloops partners, should be on your list for the 2016 touring season. Meanwhile, here are notes on some wines. Privato Woodward Collection Pinot Noir 2012 ($32.95). This wine begins with aromas of ripe cherry and gently toasted oak, leading to flavours of cherry and strawberry with a touch of mocha and spice on the finish. The texture is firm but develops silkiness with time in a decanter. 91-91. Privato Woodward Collection Chardonnay 2013 ($25.99). The vibrant, fruit-forward Chardonnay begins with aromas of citrus mingled with toasty oak. On the palate, there are flavours of tangerine and nectarine. The wine’s bright acidity gives it a crisp and lively finish. 91. Monte Creek Ranch Riesling 2014 ($16.99). The wine begins with fruity aromas of citrus and kiwi. On the palate, there is a tropical medley of flavours, including lime and kiwi. The 23 grams of residual sugar give the wine a plump texture while the bright acidity leaves a finish that seems almost dry. 90. Monte Creek Ranch Chardonnay 2014 ($16.99). The winery’s notes refer to “matchstick” aromas, along with more conventional aromas. I suspect that is a touch too much sulphur; no damage done because it blows off. Sniff deeper and you find the notes of oak (think hazelnut) and apple. On the palate, the wine is rich in texture with the hazelnut and apple reflecting in the flavours. 89. Monte Creek Ranch Hands Up White 2014 ($14.49). This is an aromatic blend of 75.5% Frontenac Blanc, 13.5% Viognier and 11% La Crescent. It has aromas of honey, citrus and melon that are echoed on the refreshing palate, with layers of fruit. As with the Riesling, the significant residual sugar plumps the texture while the bracing acidity gives the wine a crisp, tangy finish. 90. Monte Creek Ranch Frontenac Gris 2014 ($14.99). This grape variety was developed in Minnesota for terroirs quite different from sun-soaked Kamloops. I will bet there is no Frontenac Gris in Minnesota anywhere close to the ripeness of this wine. The grapes piled on the sugar in the Kamloops sun (the alcohol is 14.7%) but the variety retained its bracing acidity. Gold in hue, the wine has aromas of honey, ripe cantaloupe and apricot jam. All of this bold, jammy fruit is repeated on the palate. The finish is off-dry but the 10 grams of acidity ensure a refreshing finish. 88. Monte Creek Ranch Hands Up Red 2014 ($15.50). The blend is 46.5% Merlot, 43.5% Cabernet Sauvignon, 7% Frontenac Noir and 3% Marquette. The wine begins with aromas of bell pepper, cherry, blackberry and currant. Those flavours, along with some green notes, are echoed on the lean palate. 87. Monte Creek Ranch Cabernet Merlot 2014 ($18.49). The wine has aromas of cherry and black currants, with a hint of exotic spice. On the palate, there are flavours of black cherry, cassis and vanilla. There is a touch of dark chocolate and cola on the finish. 89. This fall, Quidni Estate Winery, which also has three bed-and-breakfast rooms, was voted number one on Trip Adviser for specialty lodging in Penticton. Owner Marty Gunderson was ecstatic – rightfully so. The award signalled what a profound turnaround has occurred at this winery which, under another name and other owners, had not been successful. It is all in a day’s work for Marty, even if it is the first venture in the wine business for this Edmonton businessman and entrepreneur. He has been involved in the financial services industry for 17 years. His currant activities in that field include a directorship of the National Crowdfunding Association of Canada. He is also involved in real estate development and that was how he became a winery owner in the Okanagan. Quidni had opened in 2011 as 3 Mile Estate Winery and slipped into receivership in the fall of 2014. On of those he contacted (through mutual friends) was Todd Moore (right), a captain in the West Kelowna fire department and a veteran consulting winemaker. Todd, a one-time bicycle racer who is 49, started his winemaking career when he was 21 with Lewis Brothers, a fruit winery (now closed) in Grand Prairie. He went to work at Quails’ Gate Estate Winery in 1991. He went to Australia for a vintage in 1993, returning in 1994 to help work the vintage at Blue Mountain Estate Winery before rejoining Quails’ Gate for two years. From there, he moved to Vancouver Island in 1996 as the winemaker at Cherry Point for four consecutive vintages. Even after joining the West Kelowna fire department in 2000, he has kept a foot in winemaking as a consultant. Todd was not interested in buying a winery when Marty approached him. But he offered to help Marty with the due diligence on making the purchase. He also was willing to run it. Marty thought that was an excellent idea. He bought the winery and relaunched it this year as Quidni Estate Winery. Not entirely on his own. “I think I pulled in every favour I have been owed in the last 20 years, by getting people to help me out,” Todd says. But he was able to make or bottle about 1,500 cases of wine, enough to get Quidni through its first season. The potential of the winery begins with its location right beside Naramata Road. 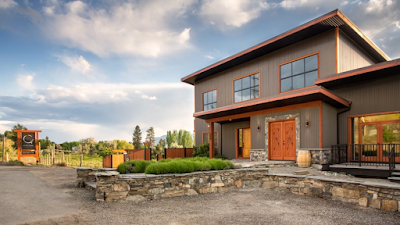 Marty Gunderson invested in additional production equipment and in improvements to make the building itself more appealing to wine tourists. 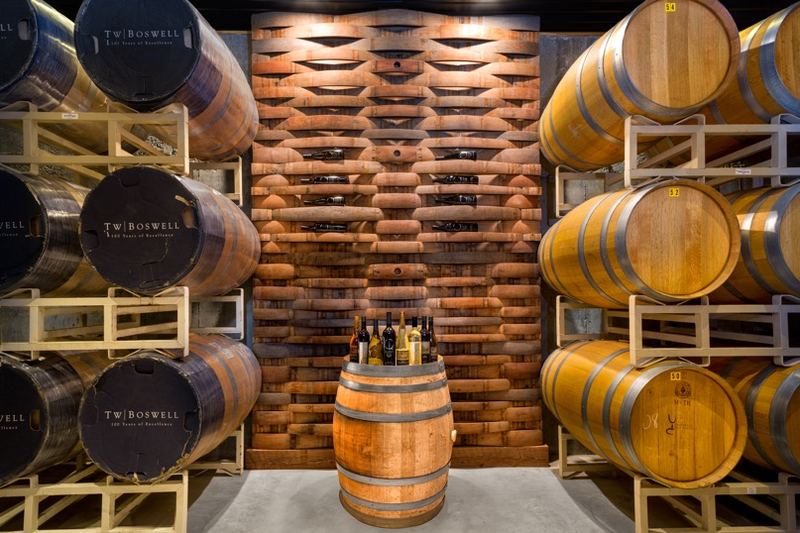 The tasting room interior was refinished with barrel staves. This is all part of Quidni’s effort to give visitors a memorable experience, so that they return or become repeat buyers of wines. That is a tough objective, given that there are almost 40 wineries on the Naramata Bench, all competing to impress. The Trip Advisor award indicates that Quidni made considerable progress this year. Marty has just begun. This summer he added winemaker Robert Thielicke to Quidni’s staff. Robert (right) had been the winemaker at JoieFarm for a number of years and before that was assistant winemaker at Mt. Boucherie Vineyards. Robert is part of Marty’s strategy to grow Quidni to a 15,000 case winery over several years. In the 2015 vintage, Quidni roughly doubled production from its first vintage. That included 250 cases of Viognier; 100 cases of Riesling, 450 cases of an aromatic white blend of Pinot Blanc, Riesling, and Gewurztraminer; and 450 cases of what Robert calls a “delicious” sparkling rosé. As well, more Merlot has been crushed for Quorto, the winery’s port-style wine. And there will be a range of table wines. Quidni wines are offered in three tiers, beginning with two affordable (under $15) blends, WhyNot White and WhyNot Red. There is a varietal series, all under $20. The small lot top tier, under $30 a bottle, are marketed as barrel select wines. A wine reviewer of Naramata Road wines has the same problem that wine tourists have: it is easy to lose yourself among the 40 or so wineries packed onto a scenic 20 km strip of vineyards. This review deals with just two wineries that are almost neighbours on the southern edge of the village of Naramata. Kettle Valley Winery, which opened in 1996, is one of the most seasoned of the Naramata wineries. Serendipity Winery is one of the younger wineries, having opened in 2011. Therapy Vineyards happens to be sandwiched between the two. For some wine tourists, this would be a full day of touring if one included lunch in Naramata. Naramata does not yet have its own appellation, although it is probably in the works. A European winegrower would find this an astonishing appellation because the vineyards in this tiny area encompass varieties that are grown in numerous appellations the length and breadth of France. The reviews below encompass Bordeaux varieties (Merlot, Cabernet Sauvignon), Burgundy varieties (Pinot Noir) and Rhone varieties (Viognier). How can one explain this? Is it that the people who planted the vineyards did not know what they were doing? Or is it because the terroir is quite special? I lean toward the latter explanation. The Okanagan enjoys unusually good growing degree days for a viticultural area this far north. Naramata Bench’s exposure to Okanagan Lake assures enviably long hang times in the fall, without which Cabernet Sauvignon would not be sufficiently ripe. The soils are a complex medley of young, old and volcanic. To be sure, one can find varieties planted in the wrong places – but not disastrously wrong if the grape growing is exemplary. The wine growers who settled on the Naramata Bench seem to have won the lottery. Here are notes on some wines. Kettle Valley McGraw Estate Merlot 2012 ($38 for 119 cases). This wine’s seamless texture and intensity is due, aside from excellent grape growing in a fine vintage, to having been aged 20 months in French oak and one year in bottle before release. There is vanilla, black cherry and cassis in the aroma. The bold core of ripe red fruit on the palate echoes the aroma. 91. Kettle Valley Crest Cabernet Sauvignon 2012 ($38 for 24 cases). Few winemakers with as much production as Kettle Valley would take the time to make a single barrel of anything. Hats off to winery owners Bob Ferguson and Tim Watts, who have something special in the Crest Vineyard’s Cabernet Sauvignon and don’t let it disappear into a blend. This begins with aromas of cassis, black cherry and chocolate, leading to flavours of black currant framed by the oak notes gained in 20 months in French oak. The bright fruit and the spicy finish are framed by firm, polished tannins. This will age superbly beyond its 10th birthday. 90. Serendipity Sauvignon Blanc 2014 ($20 for 300 cases). The aromas of herbs and lime that leap from the glass are echoed on the palate, along with flavours of green apples. The wine’s bracing acidity gives the wine a crisp and refreshing finish that lingers. 89. 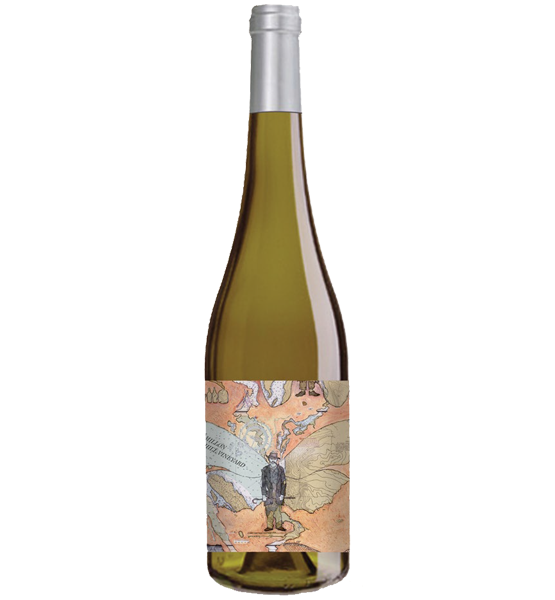 Serendipity Viognier 2013 ($20 for 212 cases). The wine begins with floral aromas, along with apricot, tangerine and honey that are echoed on the flavour. The delicious fruity flavours dance pleasantly on the tongue and persist on the dry finish. 90. 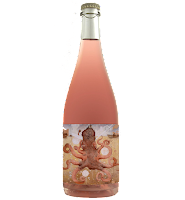 Serendipity Rosé 2014 ($20 for 298 cases). The vibrant pink hue of this wine results from letting the juice soak 24 hours on the skins. The blend here is 40% Syrah and 20% each of Merlot, Cabernet Franc and Pinot Noir. The wine has appealing aromas of cherry and strawberry, leading to flavours of kiwi and pomegranate. The finish is dry. 90. 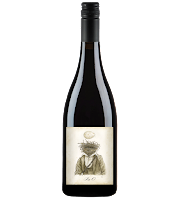 Serendipity Pinot Noir 2012 ($25 for 337 cases). The wine begins with aromas of plum and vanilla. On the palate, there are flavours of plum, black cherry, cola and oak. The wine appears to have spent about two years in oak. The sweet oak flavours are still integrating in this tasty wine. The wine is full-bodied with a velvet texture beginning to develop. 90. Serendipity Estate Merlot 2011 ($40 for 550 cases). This wine, dark in colour, was aged two years in French oak. It begins with aroma of cassis and vanilla. In the palate, there are flavours of black currant and blueberry. The structure is firm. This wine benefits from decanting; it can also be aged another four or five years. 90. A few decades ago, it was widely proclaimed that listening to Mozart would make you smarter. One seldom hears about that theory today because the underlying science is questionable. But listening to Mozart is one of life’s great pleasures. People who listen to Mozart probably are smart to begin with. And that would include Michal Mosny, the winemaker at Lunessence Winery in Summerland. Not only does he have a refined taste in classical music; he plays classical music in the vineyards and to his wines. Lunessence emerged this summer on the site of a winery formerly known as Sonoran Vineyards. The former operators, the Smits family, sold the winery in 2014 to businessman Zhizhong Si, a China-born environmental consultant who was educated in Canada. He is now based in Vancouver. The new owner hired Michal to manage the vineyard and make the wine. With Michal came a dedication to classical music. He was born in Slovakia in 1982. “I had a small garage winery next to a village where Beethoven used to go,” he says. “Beethoven wrote Für Elise there,” referring to a piece of piano music familiar to most piano students. He took up winemaking because his ancestors once had been winegrowers in France. So he and his wife, Martina, decided to emigrate, briefly considering Austria and Germany. “She said if we are doing something like this, let’s do something completely different,” Michal says. A reference on television about Canada alerted them to the wineries in the Okanagan and, after some research, this is where they ended up in 2011. He took over management of the 6.5-acre vineyard at Lunessence. In line with his employer’s environmental sensibilities, that has included resuscitating two small wetlands on the property. As well, the tasting room was renovated and enlarged. The white varieties in the vineyard are Riesling, Pinot Blanc and Oraniensteiner. The reds are Merlot and Syrah. With a significant quantity of this fruit directed to making dessert wines and Icewine, Lunessence buys many of the grapes it needs for table wines from the south Okanagan. Music in vineyards and in wine cellars is not unusual. 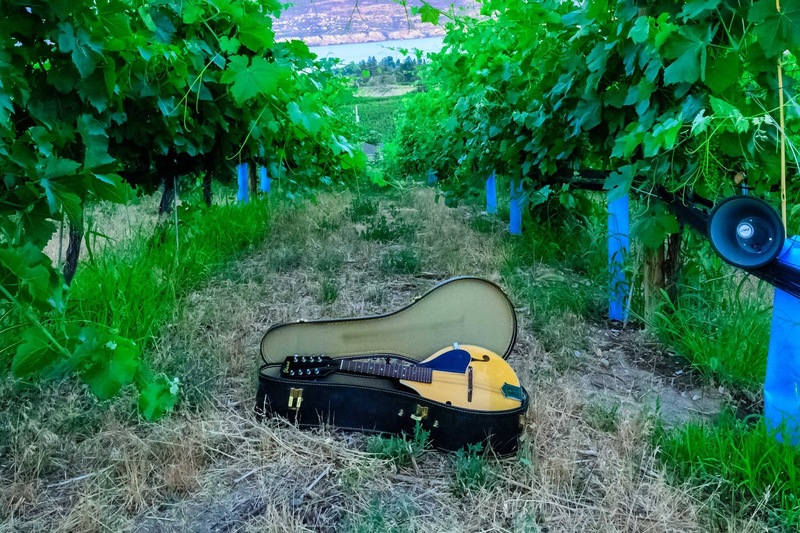 The Ruby Blues Winery on Naramata Road immerses its vines with popular music from the 1960s because Prudence Maher, the winery owner, has a taste for such bands as The Rolling Stones and The Beattles. “There are a lot of studies about how music impacts the plants,” he maintains. “I did a lot of research about it. They could not prove it has a positive impact but when they took scissors and wanted to cut a leaf, the plant could sense it. They cannot prove that wine senses it but there is good energy. They did not cut the leaf. They just wanted to and the plant sensed it. I think there is something. I can see something in the wines, that they have a different integrity. I think they are happier. Whether or not science backs it up is irrelevant if the winery is a happy place and if the wines are good. And they certainly are. Lunessence Gewürztraminer 2014 ($26 for 98 cases). The blend here is 90% Gewürztraminer with five percent each of Sémillon and Schönburger. Clearly, the objective was to add a little complexity to a variety often made as a crowd pleasure. This is an intense wine with spicy notes on the nose and the palate. The finish is off-dry. The winemaker describes this as an “old world” Gewürztraminer. 90. 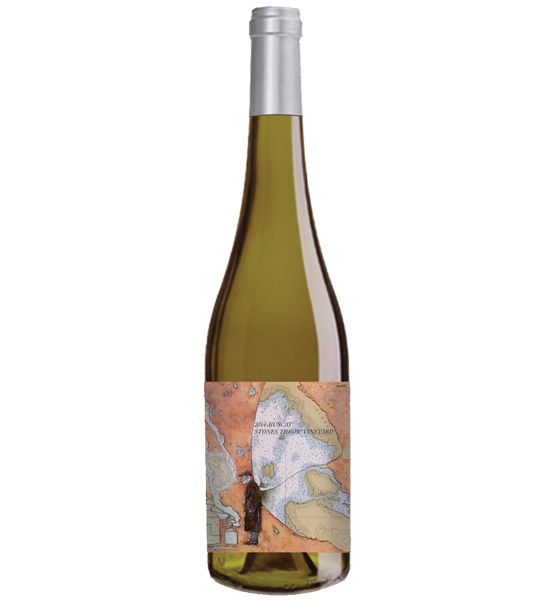 Lunessence Sauvignon Blanc Muscat 2014 ($22 for 325 cases). 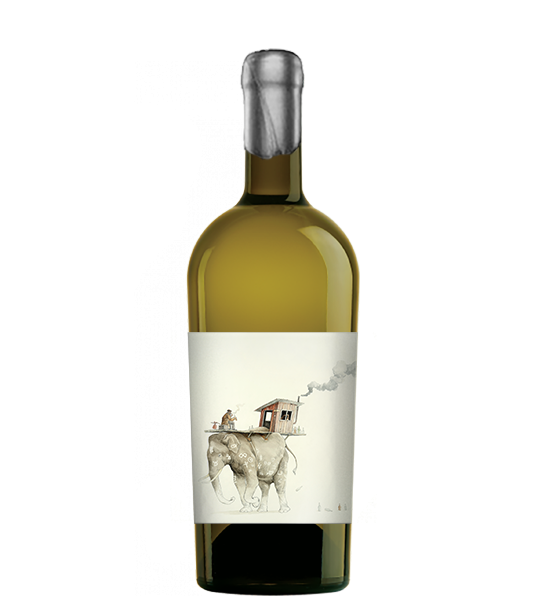 This is a fresh, racy and tropical white, with aromas and flavours of lime and grapefruit. 90. Lunessence Riesling 2014 ($26 for 175 cases). Plump and full, this off-dry Riesling has aromas of Muscatel raisins and flavours of ripe peaches. The finish lingers. 89. Lunessence Sauvignon Blanc 2014 ($36 for 58 cases). This wine shows great focus. There are aromas and flavours of herbs and limes with a racy acidity that gives the wine clean, fresh flavours with a long finish. Some of the wine was fermented with native yeasts and 30% was aged for five months in Slovakian oak barrels. 91. Lunessence Chardonnay 2014 ($36 for 117 cases). This wine was fermented in stainless steel, some with wild yeast, and 30% was aged five months in Slovakian oak. “French oak sometimes is a little too strong,” the winemaker says. This is a refreshing fruit-forward Chardonnay, with flavours of pear and apple. 90. Lunessence Rosé 2014 ($18 for 217 cases). This is 90% Pinot Noir, 10% Cabernet Franc. The latter may account for the spicy fruit on the nose. On the palate, there are refreshing flavours of strawberry and cherry. The finish is dry. 90. Lunessence Pinot Noir 2013 ($38 for 150 cases). The wine has aromas and flavours of cherry, strawberry and raspberry. This is a cheerful, light Pinot with a silky texture. 88. Lunessence Merlot 2013 ($32 for 333 cases). This is a big voluptuous Merlot, with aromas of blueberry and black cherry. On the palate, there is black cherry, black currant, plums and figures. 91. Lunessence Cabernet Sauvignon 2013 ($36 for 225 cases). 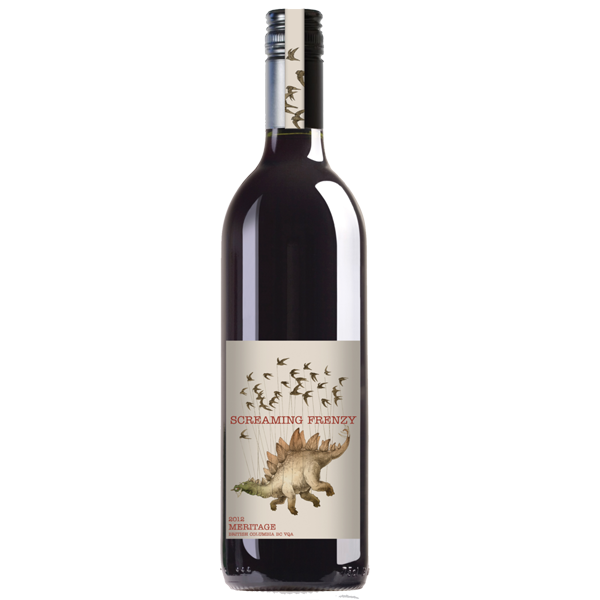 Made with grapes from Black Sage Bench, this wine has aromas and flavours of black currant. It was aged 15 months in French oak and the wine has spicy notes of oak on the finish. 90.